Hyundai Global Influencer Marketing Campaign. Socially Powerful, a global social marketing and influencer marketing agency for sports, automotive, fashion, lifestyle, technology, gaming, travel, music, fitness, luxury and more. Hyundai challenged Socially Powerful to connect the brand to motorsports and automotive audiences on social media to share the thrills, passion and fun of the World Rally Championships. It would be Hyundai's first social media led campaign for the World Rally Championships, so making a bold statement and impact into the desired communities was paramount. We brought Hyundai's vision to life with a week-long social campaign which partnered the brand, with two of the world's most prominent motorsports influencers, who fit the brand guidelines and most importantly held the attention of Hyundai's desired consumers. Our Influencers were given branded i20 Hyundai Rally Cars to embark on a five day campaign, touring the country and sharing everything to do with the World Rally Championships. Influencers would be challenged by Hyundai along the tour, to complete a variety of tasks that revolved around the Hyundai WRC Team. 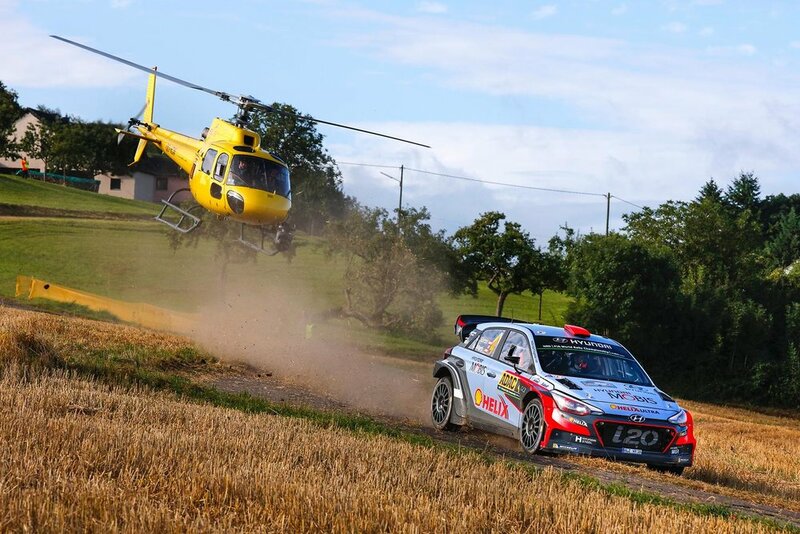 The campaign would give audiences an access all areas pass and insight into the World Rally Championship from the perspective of the Hyundai Team. Socially Powerful's video and content team, worked with the influencers to capture and distribute content through community pages on Instagram and Facebook.